Get ready for a great interview! If you're getting prepared to seek new employment, one of the best things you can do to get ready is to complete one or more mock job interviews with someone you can trust to give you truthful, constructive feedback. After all, when you're looking for a job, it's essential that you put your best face forward every time you have an opportunity to meet with a hiring manager. Practicing your skills can be a gret way to make sure that you do just that! 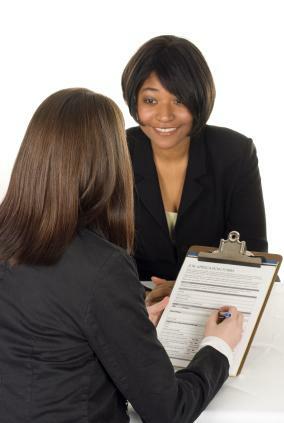 What is a Mock Job Interview? Have you heard the saying, "practice makes perfect"? That's exactly what a mock interview is. It's simply an opportunity to practice your interviewing skills in a realistic setting before you face an actual job interview situation. Mock job interviews can help you get comfortable with the idea of interviewing and allow you to polish your answers to common interview questions. Select the Right Interviewer-Ask someone who has successful job interview experience to play the role of the interviewer for you. If you have friends who have worked in human resources or management, they may be very well prepared to help you. Alternately, friends who have jobs similar to the type of position that you hope to acquire may also be very helpful to you in this capacity. If you don't have a friend or relative with the skills necessary to help, consider enlisting the services of a professional career counselor or request assistance from a placement counselor with an employment agency that you are working with in your job search. Set the Ground Rules - Make sure that the person who is helping you knows that you are looking for constructive feedback. Be very clear about the fact that you want to know about anything that you might be doing wrong so that you have an opportunity to make corrections before you are in a real-life interview situation. Reassure the interviewer that you won't take negative feedback personally and that honesty is what you are looking for. Choose an Appropriate Setting - The place where you practice interviewing should be as realistic as possible. Ideally, complete each mock job interview in an office or conference room setting. Consider visiting the person who is posing as the interviewer at his or her office, meet in a private study room in your local library, or schedule time in a meeting room at a local restaurant. The experience will be more realistic if you aren't in your own home or other place where you already feel very comfortable. Dress the Part - For the most realistic mock interview session, get dressed in the same clothing you would wear for a real interview for a job that you really want. Doing this will help you get to the point where you feel comfortable interacting with other people while wearing your best and most professional interview attire. It will also allow the person assisting you to provide you with feedback about what you are planning to wear when meeting with hiring managers. Establish Questioning Guidelines - Make sure the mock interviewer has a list of commonly asked job interview questions to choose from, but don't limit him or her to a set list. The practice experience will be more valuable to you if you have to figure out how to respond to inquiries that you aren't expecting ahead of time. If you complete several test runs, have the interviewer vary the questions each time. Debriefing - In order to truly learn from completing a mock interview, it's essential to discuss the event with the person playing the role of the interviewer once the session is over. The feedback you receive is what will help you make adjustments your interviewing style so that you can perfect the way you come across when meeting with someone who will decide whether or not to consider you for a job that you would like to have. While it's true that you will learn something from every interview that you attend, you definitely want to go into every real-life hiring situation as prepared as you can possibly be. That's what makes mock interviews such a great idea. What better way to get prepared to "wow" the hiring manager when you have an opportunity to go on a real interview than to do a trial run - or several of them -- ahead of time?